Overnight french toast is a recipe you need to keep in your arsenal. 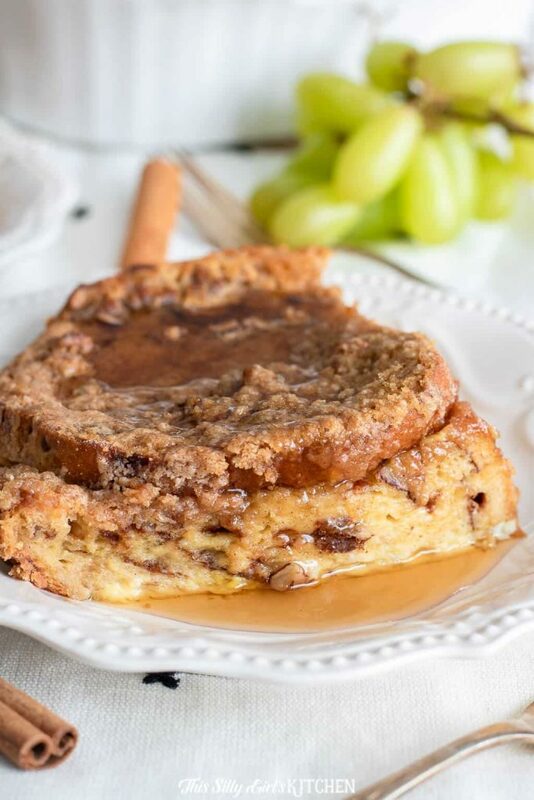 You never know when you will need to make an impressive yet easy breakfast for a crowd, this overnight french toast recipe has you covered! The one downside to french toast is making it. It’s the morning, right away I’m agitated. You have to make this egg custard, soak bread in it, fry up each piece one at a time, etc. I’m not having it. I’m a half zombie in the morning, I need my coffee, and quiet time for at least an hour. Don’t talk to me. Don’t look at me. Don’t think about looking at me. 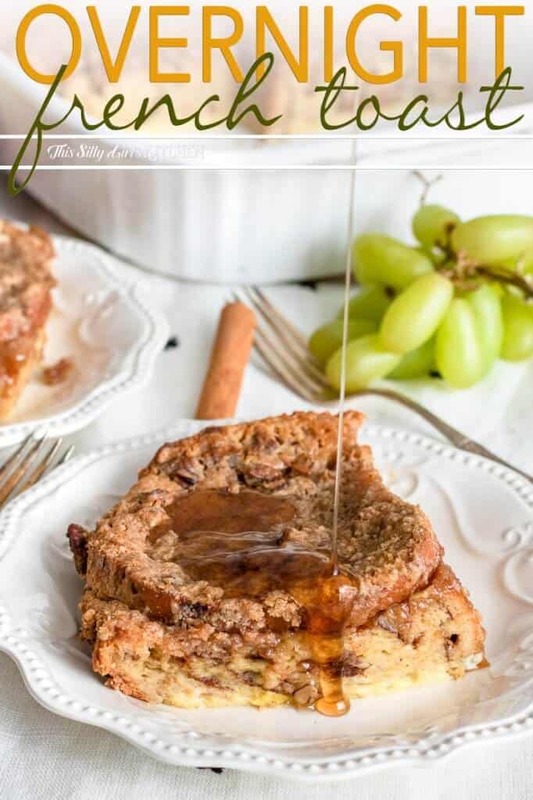 If you are like me, then this baked french toast overnight recipe is for you! It is so, so easy to put together the night or afternoon before serving, 10 minutes and you are done. 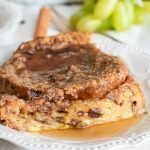 I made sure this breakfast packs a punch of flavor too by using cinnamon swirl bread! 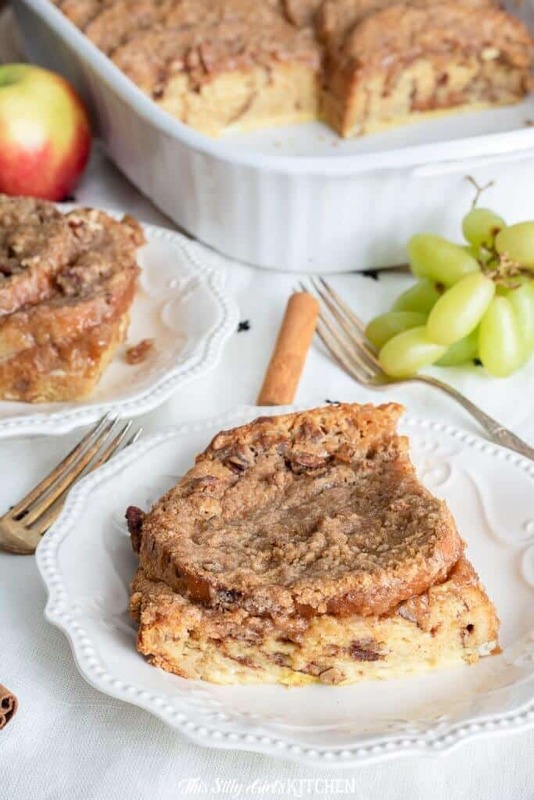 I really think the specialty bread addition really makes this french toast bake pop! Plus, that crunchy cinnamon crumble on top is an extra special touch. 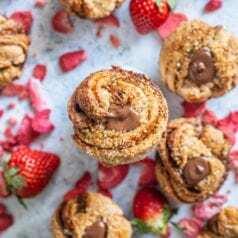 Lay cinnamon swirl bread slices into the bottom of a well greased 9×13 inch baking dish. Mix together the egg custard consisting of eggs, milk, heavy cream, brown sugar, and, of course, vanilla. Pour this mixture all over the bread slices. Cover with plastic wrap and place in the fridge for overnight. Make the crumble, this can be done the night before also. Whisk together the flour, sugar, cinnamon, and salt. Add cold butter, roll butter and flour mixture through your fingertips until the mixture resembles wet sand with a few larger butter lumps in it. Place mixture into a baggie and place in the fridge overnight, or you can do this first thing in the morning before baking the french toast – your choice. When ready to bake, preheat oven to 350°, sprinkle pecans on top of the bread, sprinkle all of the crumble on top. Bake for 45 minutes to an hour, let cool slightly and serve. 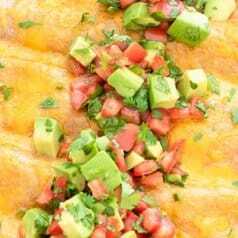 More great breakfast options include Breakfast Enchiladas, Sour Cream Coffee Cake, and Chocolate Chip Muffins! Can you freeze overnight french toast? Yes! I have found the best method is to wrap the whole casserole dish in plastic wrap two times, then once in foil. The french toast bake will keep in the freezer for up to 2 months. The night before you are going to serve, take the casserole dish out of the freezer and place in the fridge overnight to thaw. In the morning, bake as directed in the recipe below. As you can tell, by laying the bread slices into the casserole dish, and overlapping slightly, this is the lazy version! 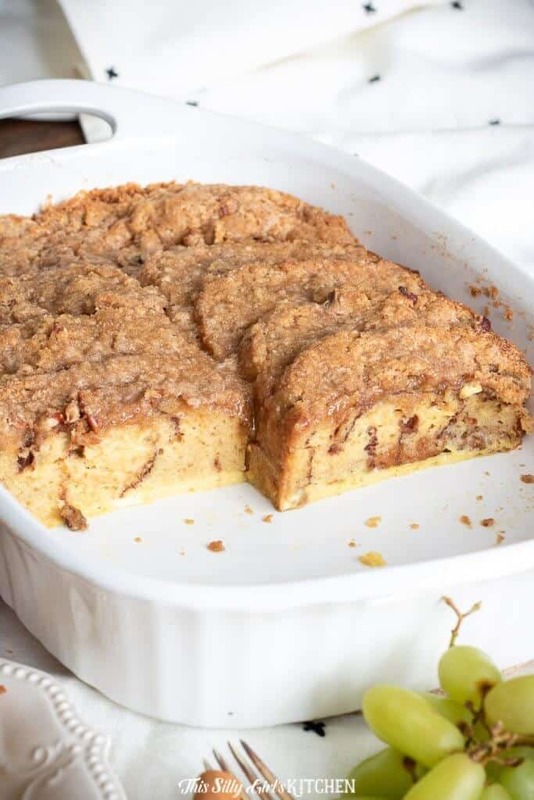 If you would like the casserole to be more of a bread pudding style, just cube the bread into bite-sized pieces, and do everything else the same. 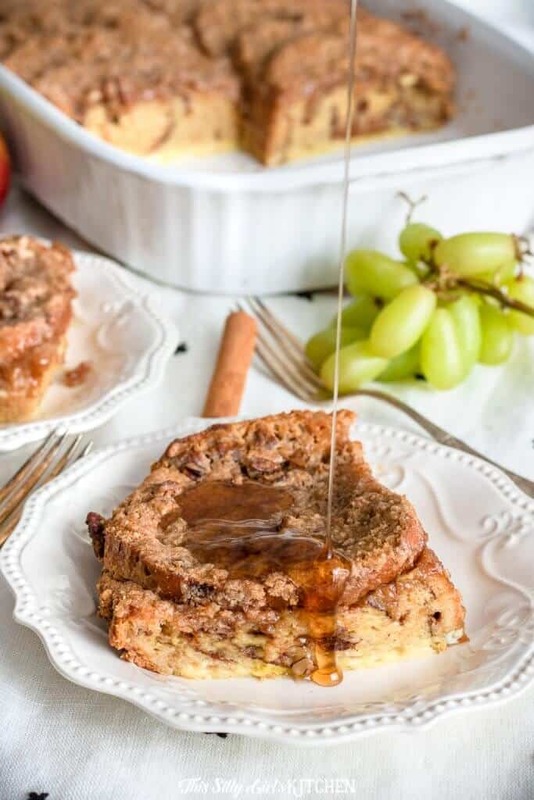 Baked french toast overnight is great served with just powdered sugar, maple syrup, or even cinnamon buttermilk caramel sauce – the sky is the limit! Grease a 9x13 baking dish well, lay pieces of bread into the baking dish in two rows, overlapping. Set aside. Whisk together the eggs, milk, heavy cream, sugars, and vanilla. Pour mixture over the bread. Cover with plastic wrap and place in the fridge overnight. Whisk together the flour, sugar, cinnamon, and salt. Add cold butter, roll butter and flour mixture through your fingertips until the mixture resembles wet sand with a few larger butter lumps in it. 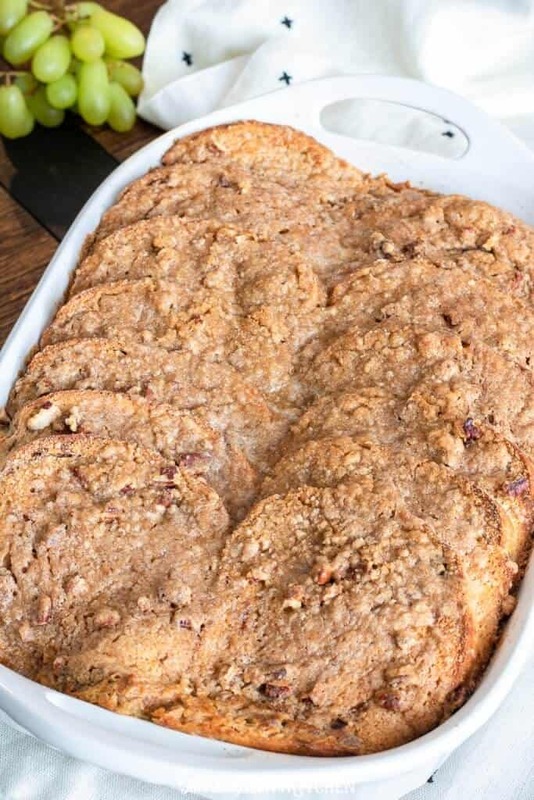 Preheat oven to 350°, sprinkle pecans all over the bread, coat evenly in the crumble. Bake for 45 minutes for a more custardy texture and up to 60 minutes for a crisper crust. Let cool slightly and serve. *The butter needs to be super cold. You can either small dice it or do what I do, and grate it right into the bowl with the flour mixture. **Make the crumble the night before with the french toast, put it into a baggie and place in the fridge overnight. 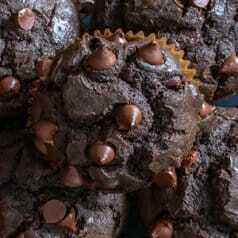 OR, you can make this in the morning, your choice.